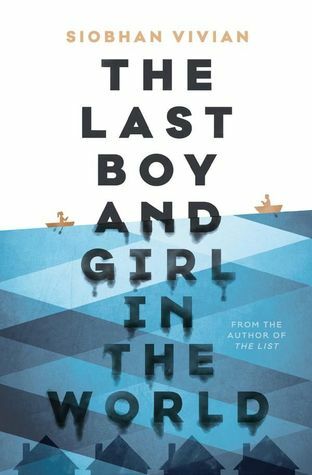 The Premise from the Publisher: "What if your town was sliding underwater and everyone was ordered to pack up and leave? How would you and your friends spend your last days together? While the adults plan for the future, box up their possessions, and find new places to live, Keeley Hewitt and her friends decide to go out with a bang. There are parties in abandoned houses. Canoe races down Main Street. The goal is to make the most of every minute they still have together. And for Keeley, that means taking one last shot at the boy she’s loved forever. There’s a weird sort of bravery that comes from knowing there’s nothing left to lose. You might do things you normally wouldn’t. Or say things you shouldn’t. The reward almost always outweighs the risk. Almost. It’s the end of Aberdeen, but the beginning of Keeley’s first love story. It just might not turn out the way she thought. Because it’s not always clear what’s worth fighting for and what you should let become a memory" (SS). My overall thoughts and review: I've read a series before by Siobhan Vivian and Jenny Han, and when I heard that Vivian was coming out with a new novel, I was excited! I've been on such a contemporary-kick lately and this sounded like something just up my alley. To begin with, the setting of Aberdeen and how the town was sliding underwater was super interesting. I loved how the beginning of each chapter had a weather forecast/weather warning to really set the setting. Also, I must say this text offered such a wide range of characters. There was Keeley's parents, her best friend's Mom, the Sheriff (did he remind anyone else of Sheriff Stilinksi from Teen Wolf? ;)), the teachers, Keeley's friends and also the cat! Everyone was fully fleshed out and so interesting. It was so evident that each had a distinct voice that came through. I really like the entire premise of knowing the "end" is to come and what that does to one's character. Like the premise states, a type of bravery comes on, but then again, there are consequences to that. I really enjoyed that the dynamic of Keeley's friendships was the center of the text. Sure, it had a lot to do with her relationships with Jesse and Levi, but at the heart of the text was her friendship with her girlfriends/childhood friends. Vivian touches on such important themes of graduation, school ending, moving away and how friendships stand the test of all of that. My favorite part of the text was Keeley. She made mistakes and at times, she was quite frustrating, but I loved how "real" she felt to me. I empathized with her so much throughout the text and she reminded me of a younger version of myself. This book allowed me to reflect on that and also take a moment to think about family, friendship, and the environment. I loved this book so much and I always find it particularly difficult explaining my love for a book I really enjoyed. I think it is a beautiful read that many readers will enjoy and it is definitely something I think fans of Rainbow Rowell, Jenny Han and Stephanie Perkins will enjoy! 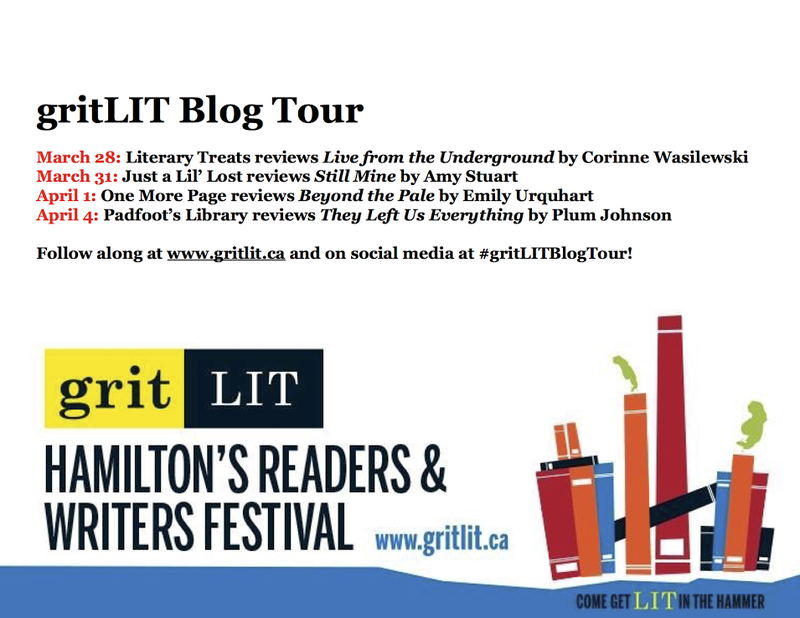 Disclaimer: I was sent a review copy of the book by Simon and Schuster Canada in exchange for an honest review and my participation in the blog tour. The giveaway is simply a link that I've shared on behalf of SSC. All opinions are my own. Hi everyone! I hope that you are all having a wonderful weekend. I thought I would write an update post / something kind of personal and different from the regular book reviews. So if you don't follow me on other forms of social media (Twitter - @padfootslibrary & Instagram - @soufflegrl), you might not know this but a lot has happened recently. I moved closer to the city and I got a new part-time job. My surroundings have changed but also my schedule. I'm a little bit behind on reading lately and I've been trying to finish up my coursework for the term.. so you may see some delays in blog posts (forgive me! this is only temporary). 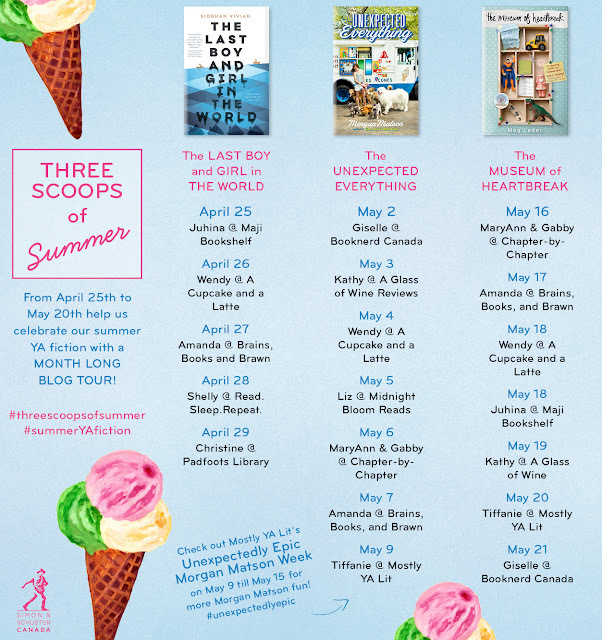 I have a few exciting book blog tour posts lined up for you all coming in the next few weeks, but I simply wanted to write a post explaining a new chapter/journey/direction that Padfoot's Library will shift to. For starters: The current bookish content will remain the same. *cheers* - nothing will change in that regard. Also, I'm hoping since it is summer time, I will, in fact, have more time to read, so hopefully more book reviews and more and NEW exciting bookish content. But what I hope to do is involve more of other aspects of my life. I don't mean I will be writing update posts of every single thing in my life, but rather, some lifestyle posts here and there and other things such as film, fashion, health, and beauty. I'm inspired by the new changes in my life (the move, the job), to incorporate new things in my blog as well. I treat my blog as a collection of my life, a sort of scrapbook if you will; that I can look back on time and time again. I would like to share more with my readers so that you can all get to know me a bit better, and also for me to get to know you a bit better as well. I hope that this sounds exciting for you all and I would love some recommendations of what you'd like to see on the blog. 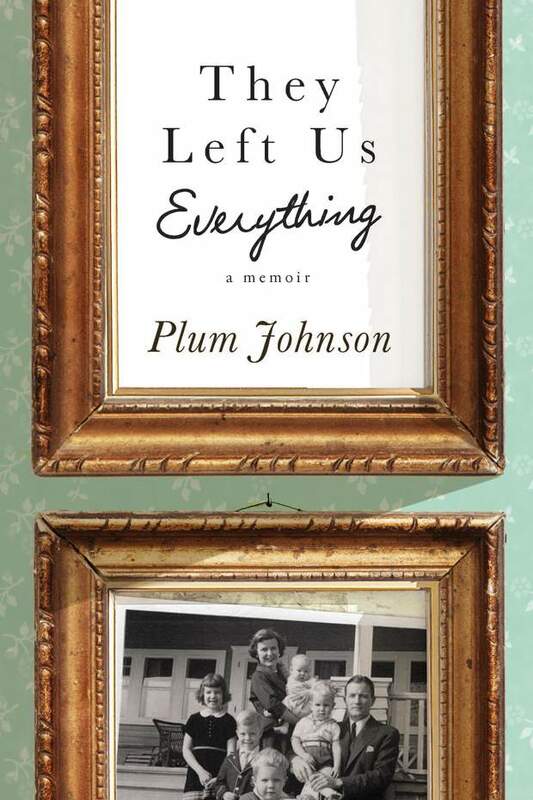 The Premise from the Publisher: "After almost twenty years of caring for elderly parents—first for their senile father, and then for their cantankerous ninety-three-year-old mother—author Plum Johnson and her three younger brothers experience conflicted feelings of grief and relief when their mother, the surviving parent, dies. Now they must empty and sell the beloved family home, which hasn’t been de-cluttered in more than half a century. Twenty-three rooms bulge with history, antiques, and oxygen tanks. Plum remembers her loving but difficult parents who could not have been more different: the British father, a handsome, disciplined patriarch who nonetheless could not control his opinionated, extroverted Southern-belle wife who loved tennis and gin gimlets. The task consumes her, becoming more rewarding than she ever imagined. Items from childhood trigger memories of her eccentric family growing up in a small town on the shores of Lake Ontario in the 1950s and 60s. But unearthing new facts about her parents helps her reconcile those relationships with a more accepting perspective about who they were and what they valued. They Left Us Everything is a funny, touching memoir about the importance of preserving family history to make sense of the past and nurturing family bonds to safeguard the future" (Penguin Canada). My overall thoughts and review: When I first read the premise for this novel, I was intrigued because I haven't read anything by Plum Johnson before and reading a memoir that takes place in Canada really sounded interesting. I always love approaching memoirs and/or biographies of people I don't know because it allows me to enter the text without a preconceived notion of the individual. I also really enjoyed how this style of memoir allowed me to not only learn about Plum, but her family. It is through packing up her childhood home and sifting through items that she is able to recall childhood memories of her mother, father and also her siblings. It allowed her to see things in a different light and recall things about her parents. I really enjoyed reading about Plum's mom and how difficult their relationship was at times. I definitely empathized with those parts because relationships with your mother can sometimes be quite difficult and you often forget that they are more than just your mom. It really made me appreciate my mom so much more after reading these passages and it made me think that even though sometimes I don't understand my mother's actions, or she doesn't understand me, there is more to it than that. The passage where she recalls "knowing" her mother at all definitely stuck with me. I must admit, I did go and give my mom and my aunt a massive hug after finishing this book. This book speaks about such an important thing that is often neglected and yet so simple: family. As an only child, I don't have the family dynamic like Plum did, but still, there were so many parts of the novel that I definitely enjoyed. It just makes you really appreciate your family and to encourage you to spend as much time with them as you can. I would highly recommend this read for anyone. It is a beautiful book that is definitely relatable on many levels and shows a realistic depiction of the hardships and the good of family. Disclaimer: A copy of this book was sent to me by gritlit's Artistic Director in exchange for my participation in the blog tour and for consideration/review. All opinions are my own.